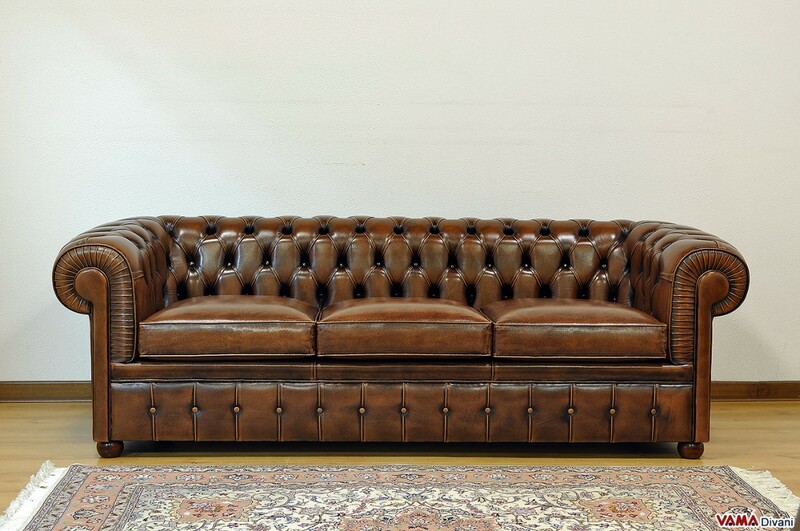 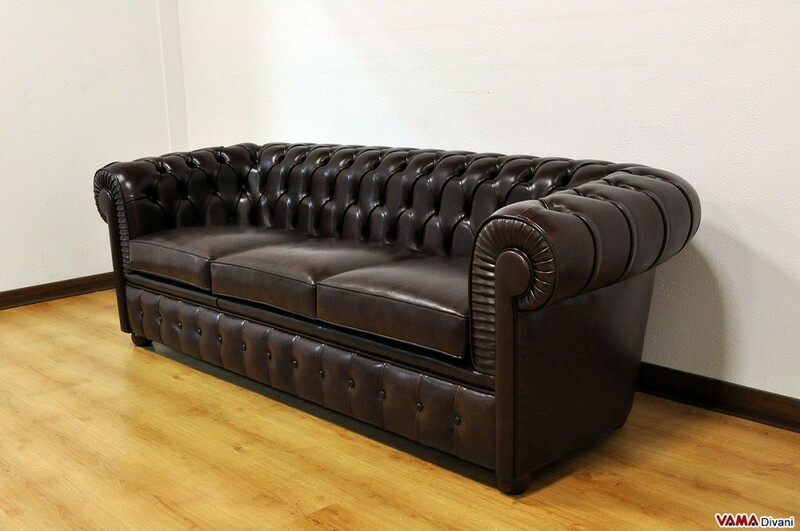 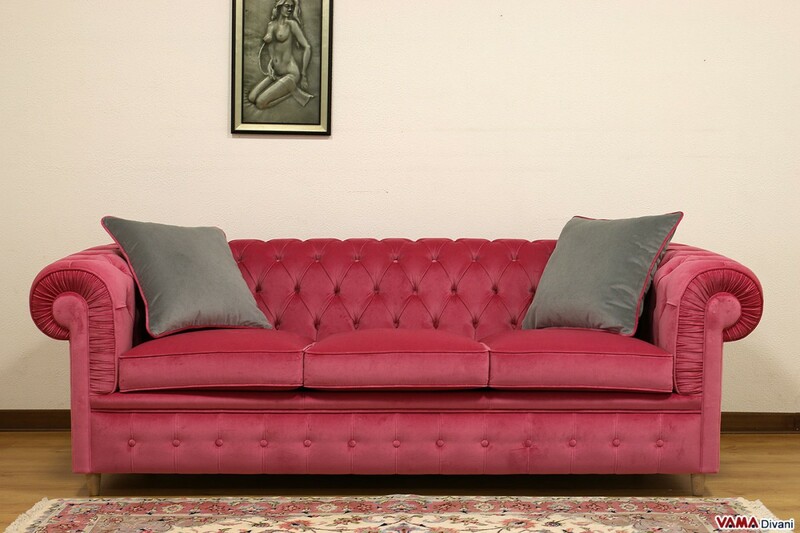 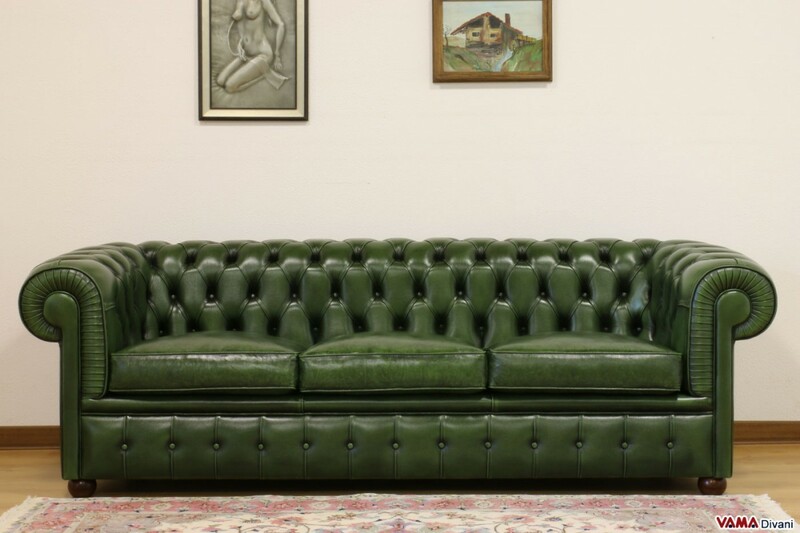 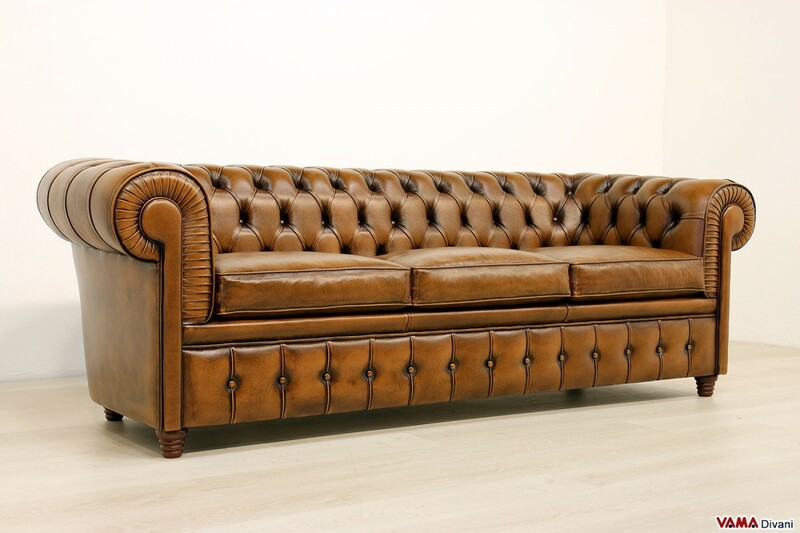 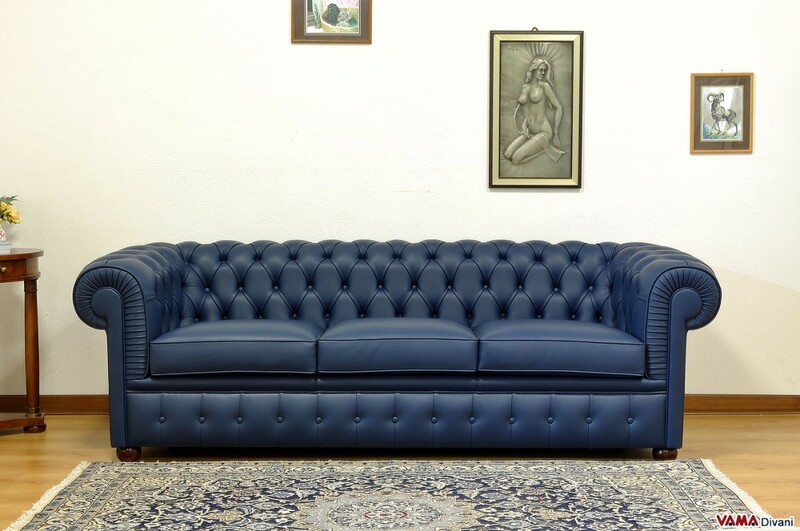 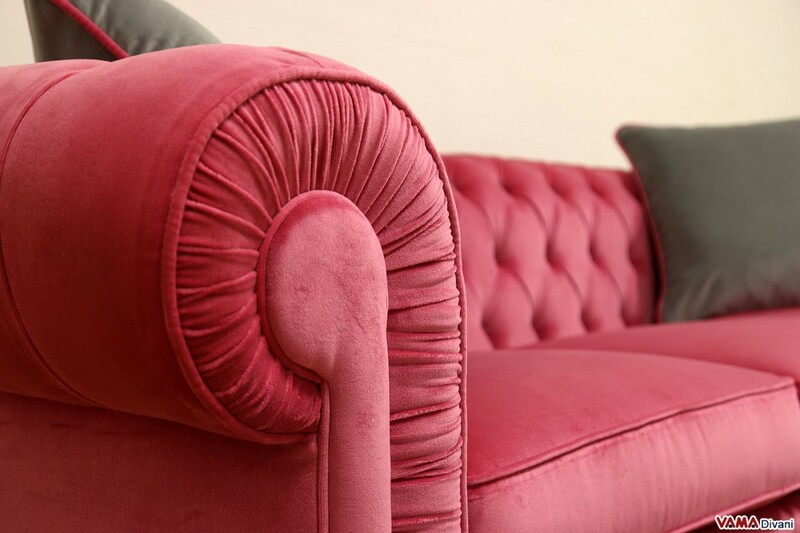 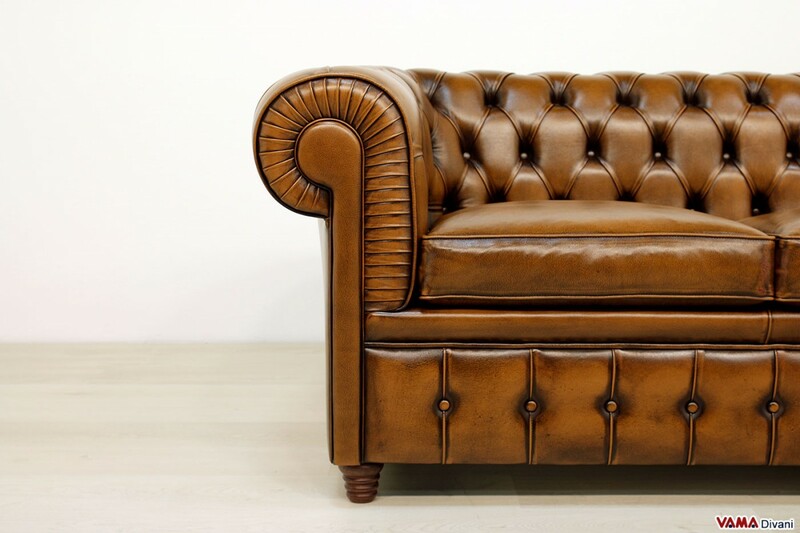 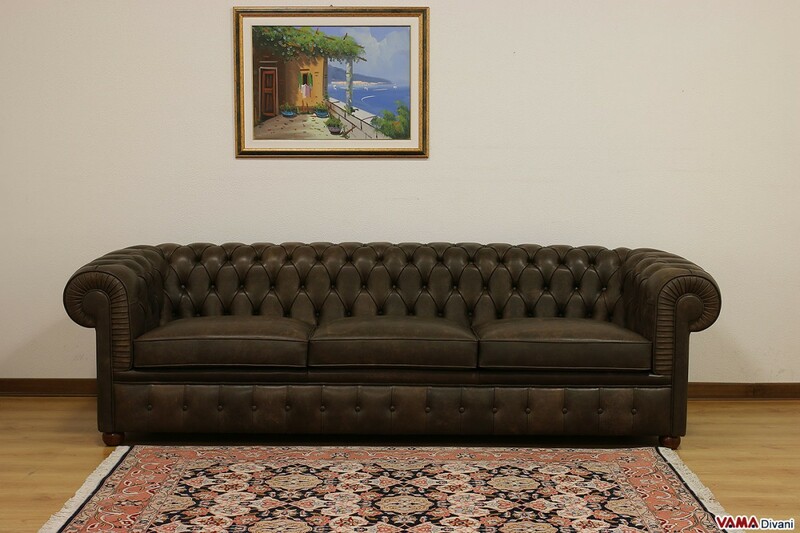 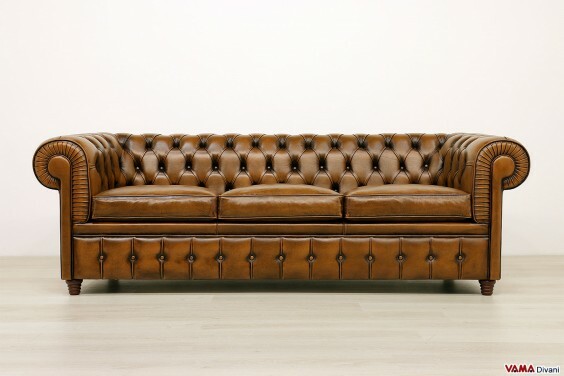 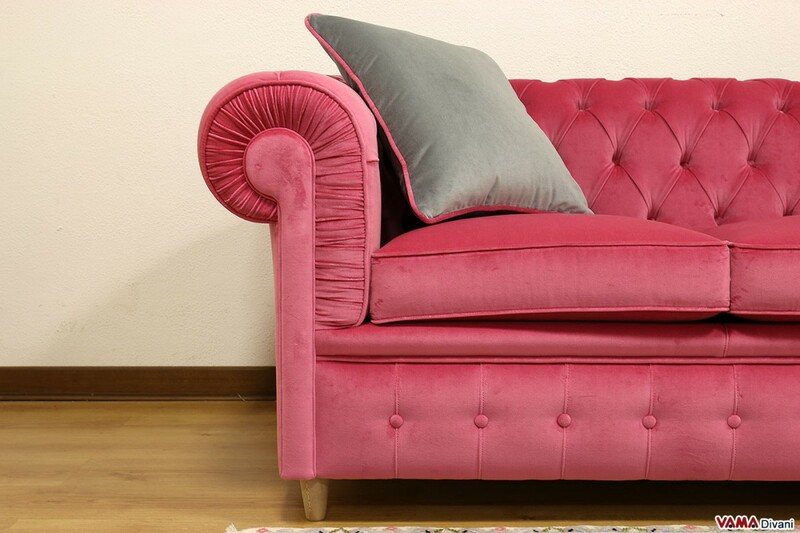 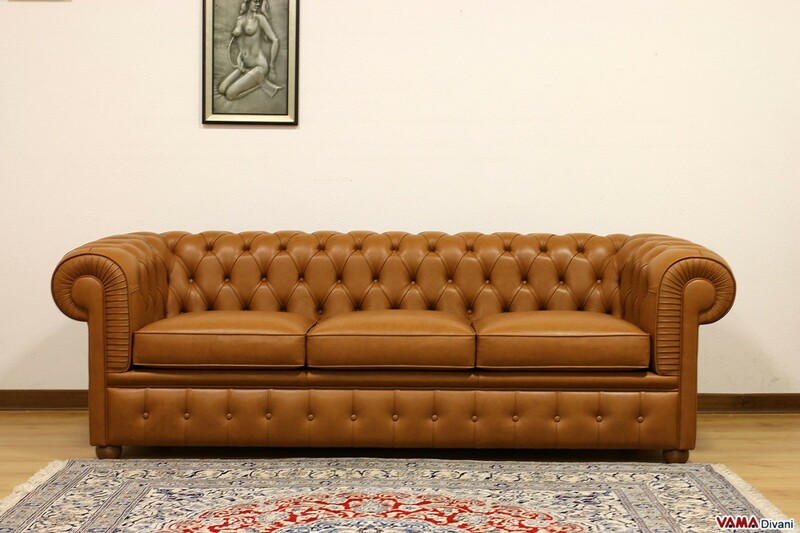 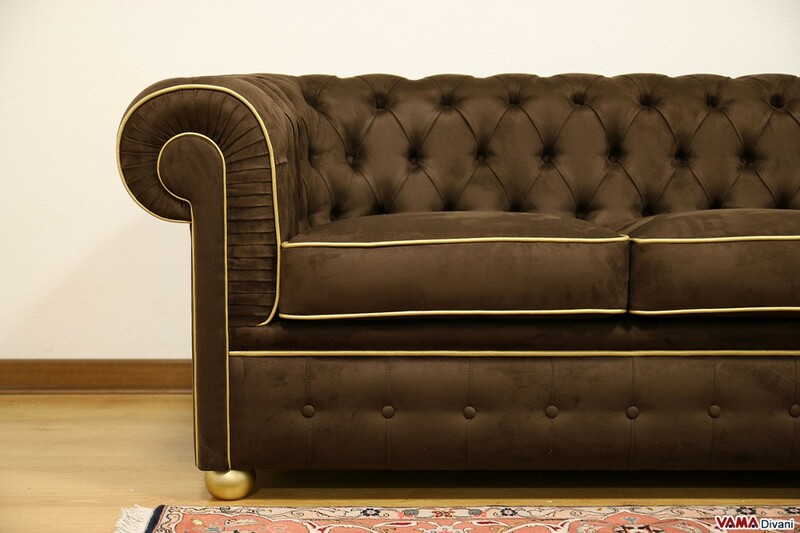 This beautiful classic sofa reflects the features of the British oldest Chesterfield sofas, those who, many centuries ago, were made to embellish the houses of the wealthiest families. 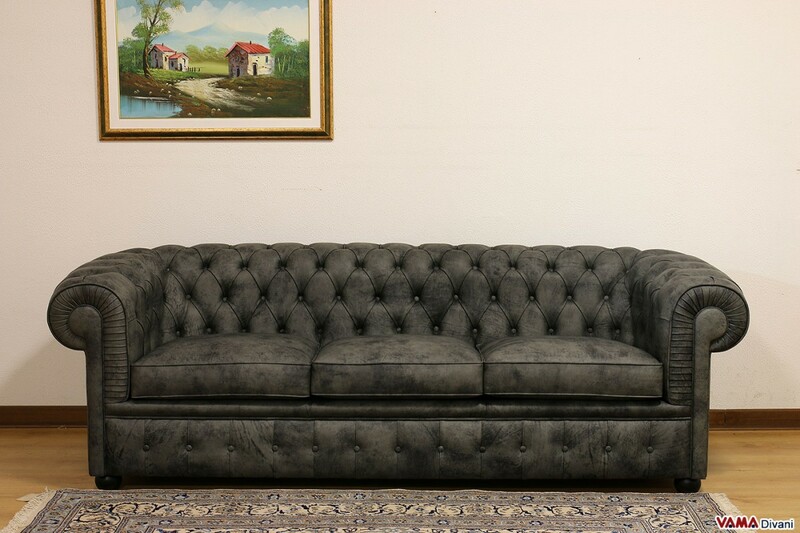 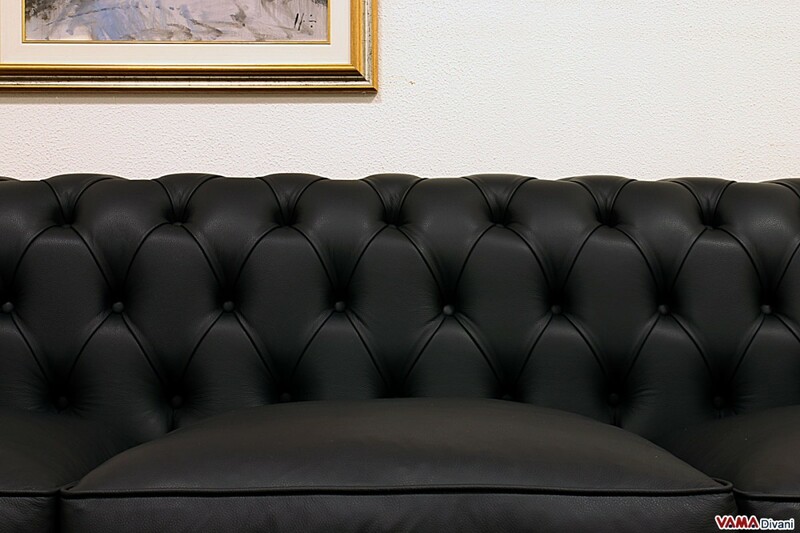 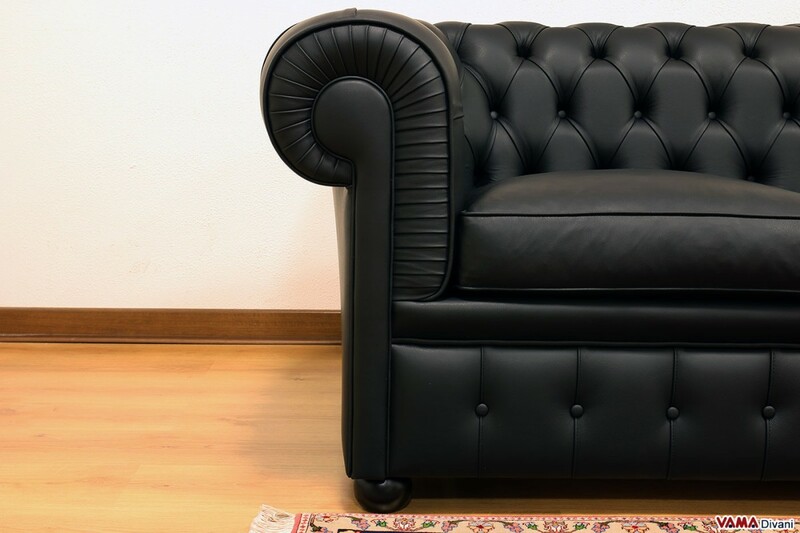 The key features of this sofa surely are the buttoned details, which require excellent manual skills and that are based on the application of small buttons on the upholstery. 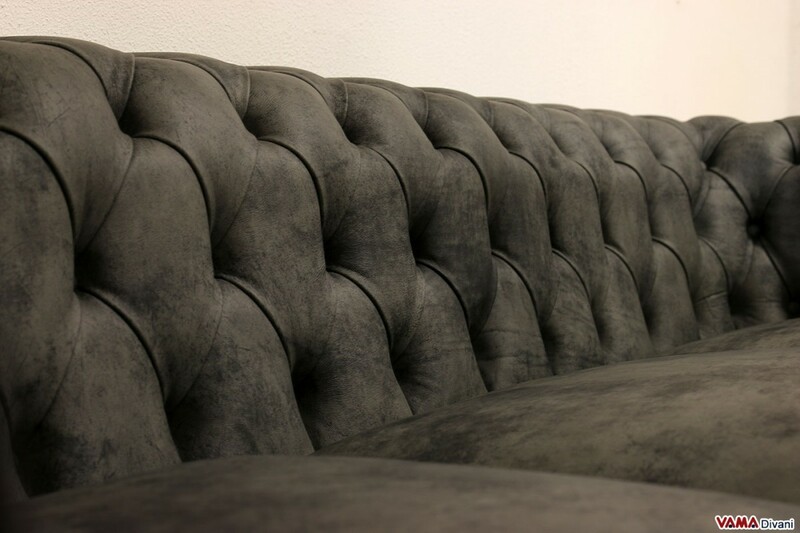 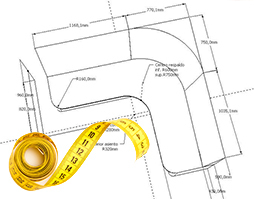 This type of details is suitable for rooms characterised by a classic style, but even for contemporary spaces with more and more special and modern upholsteries which can be easily customised. 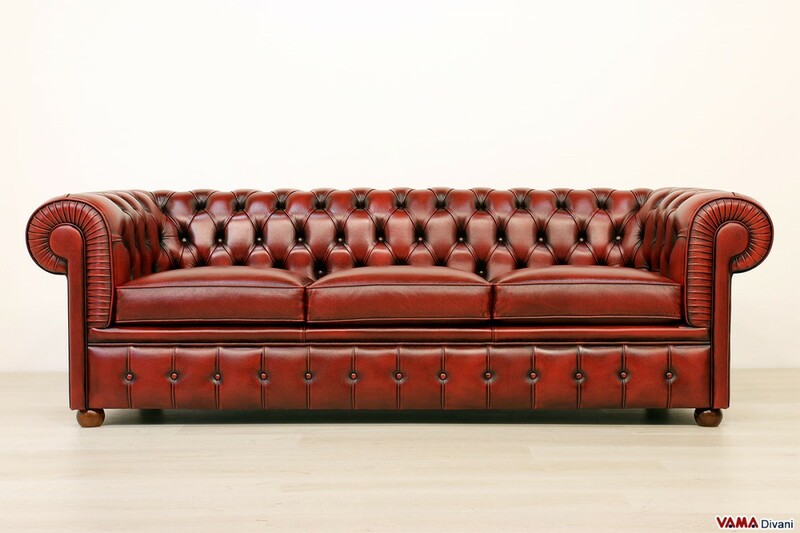 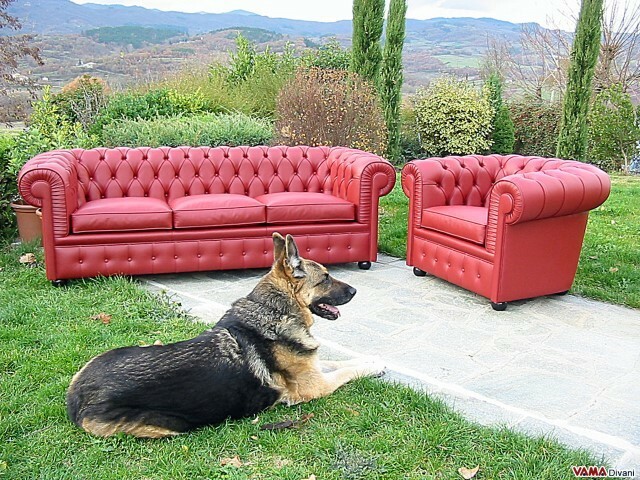 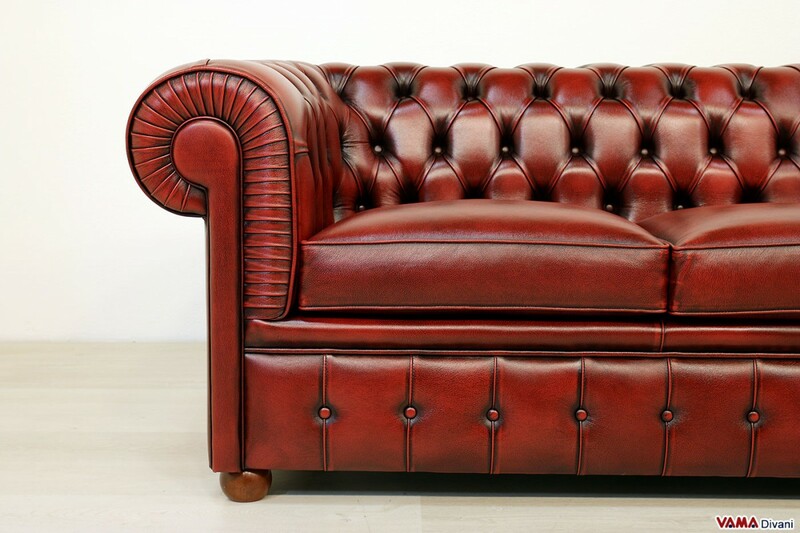 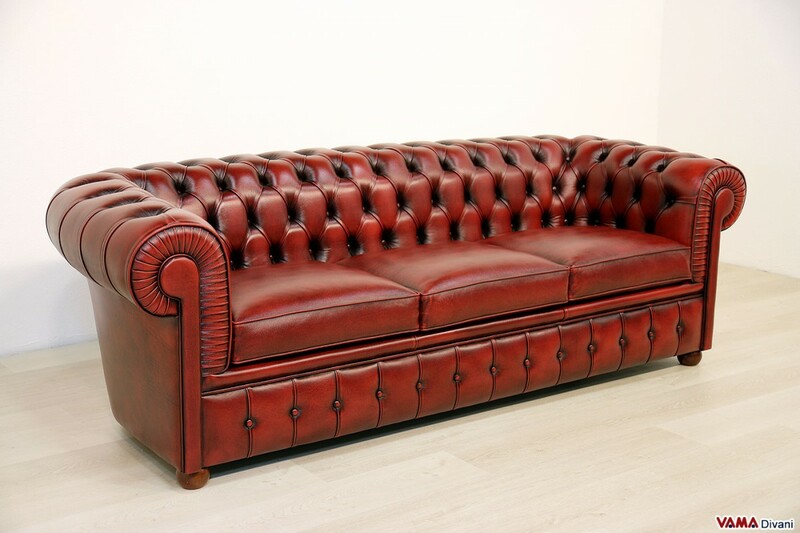 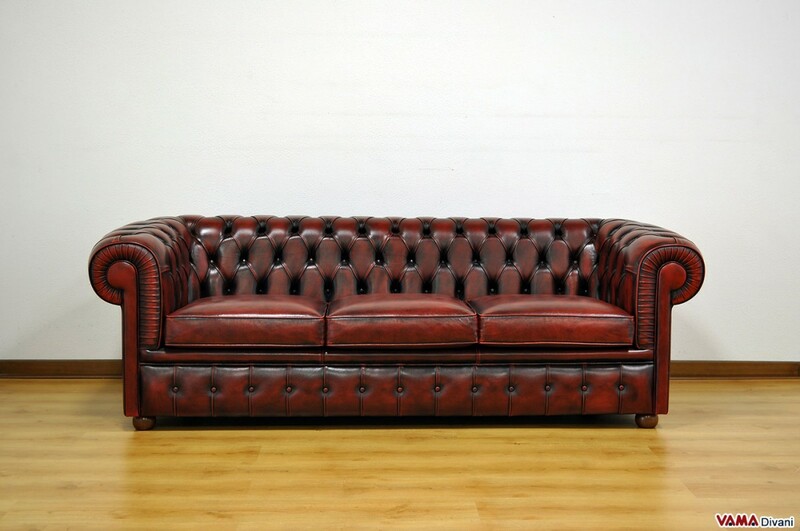 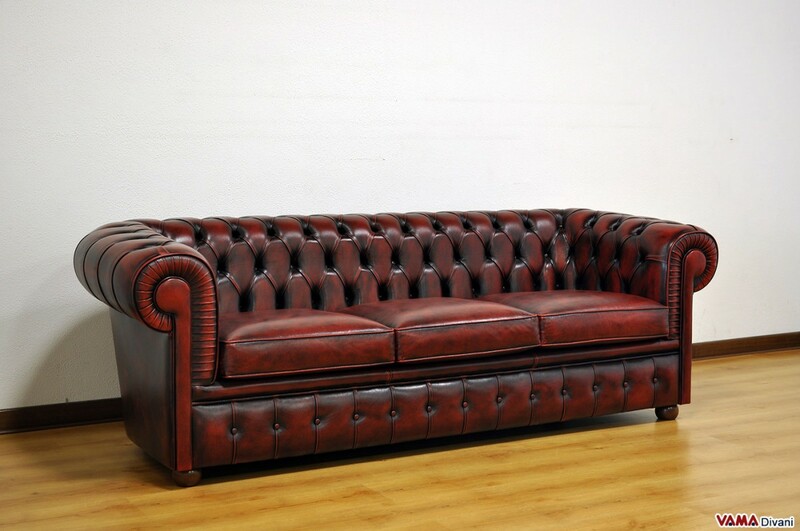 The dark red leather which upholsters this sofa, is aged by hand using a traditional process that gives the sofa an even more distressed look, but it can be realised in many other colours. 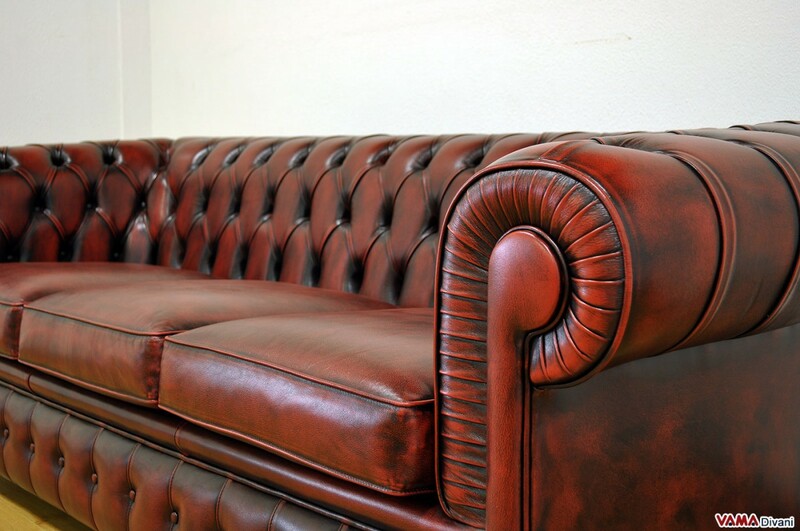 Feel free to consult our leather catalogue. 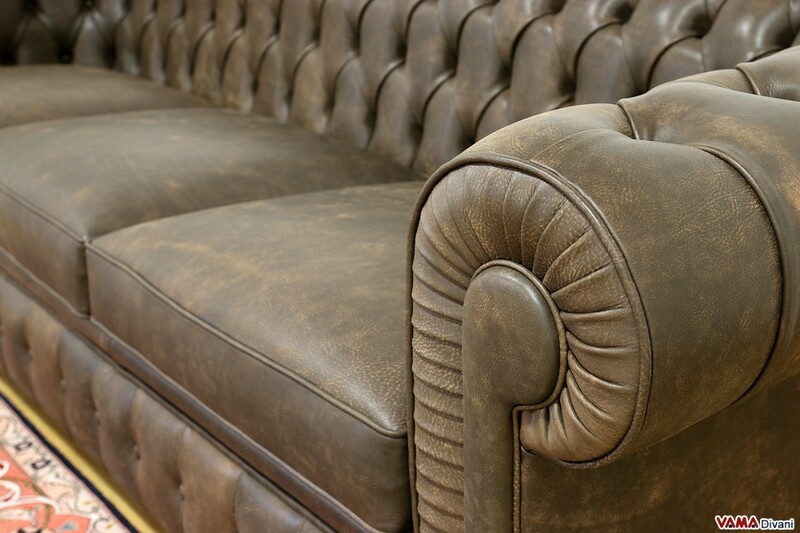 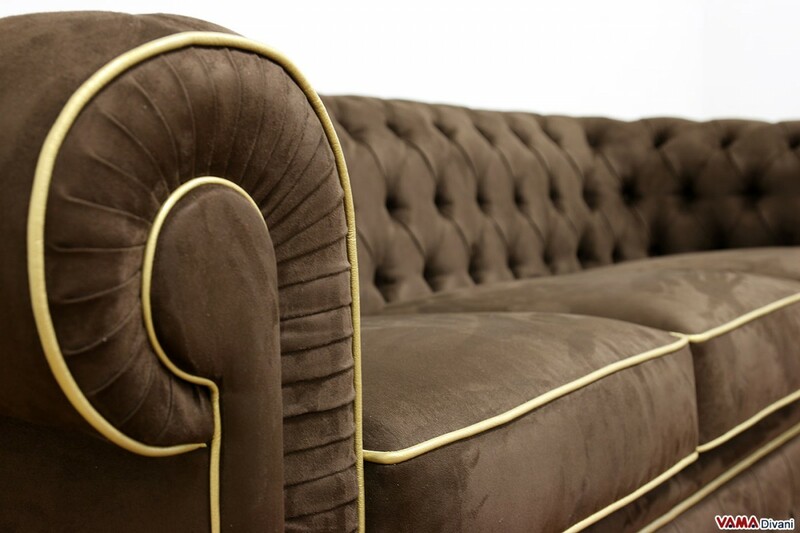 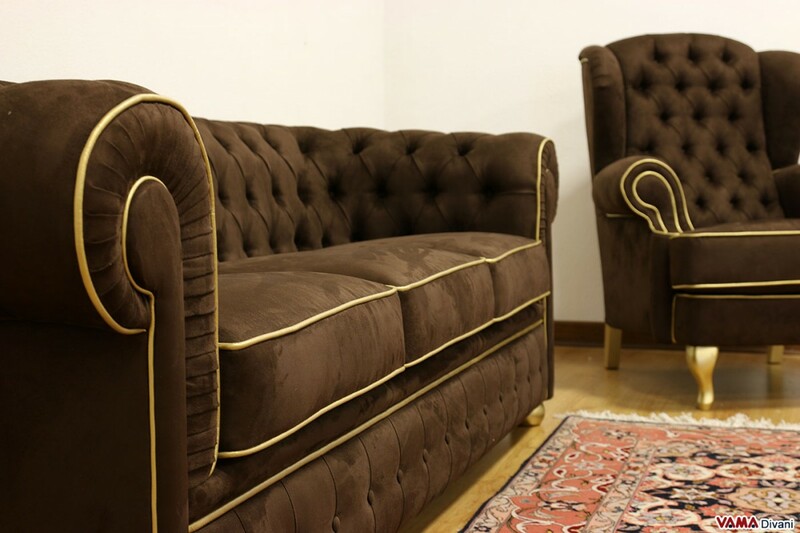 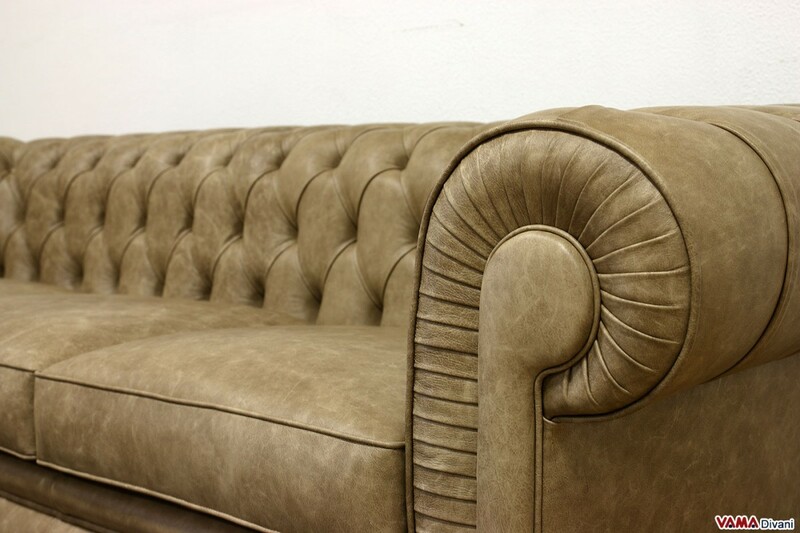 All the little details of this classic sofa are realised in a very perfect way by our Italian craftsmen and they enhance its arms and the particular shape of the wooden feet. 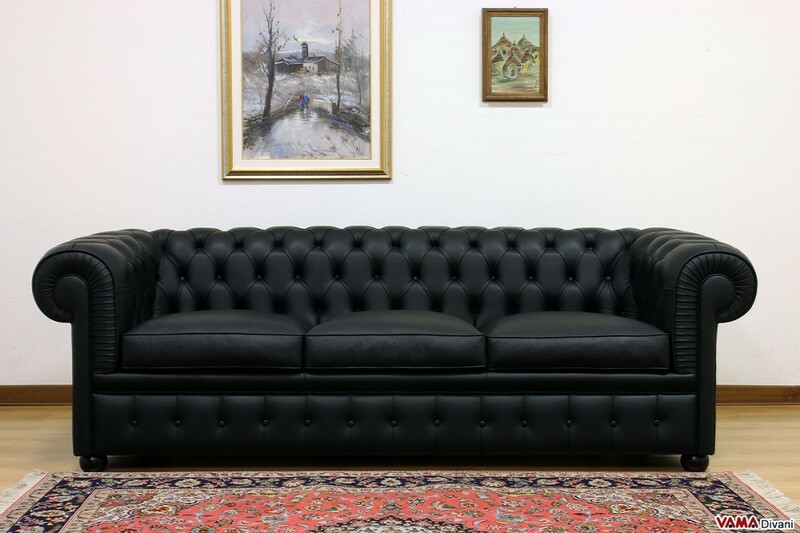 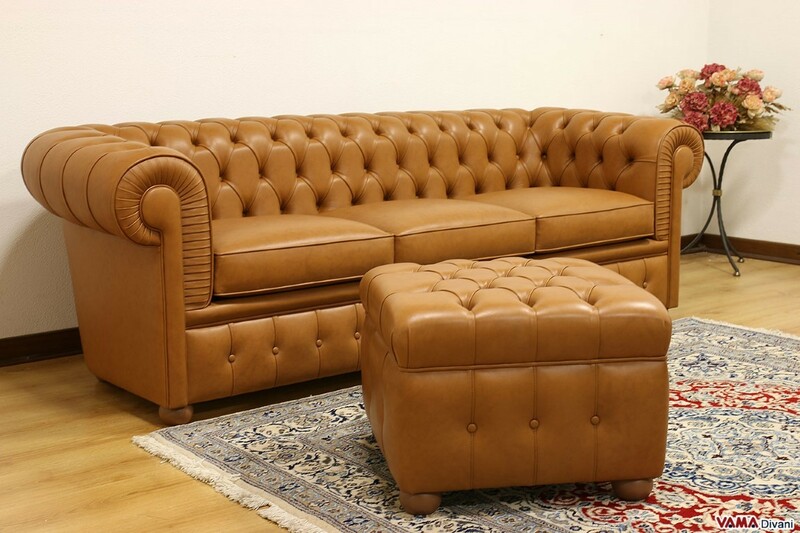 Besides presenting a so refined style, the Chesterfield sofa is even sturdy and resistant, featuring a very solid internal structure. 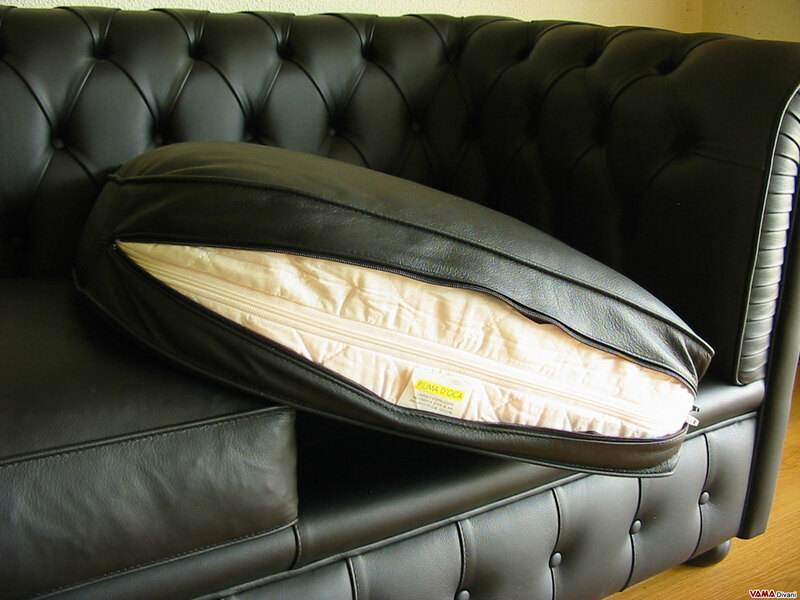 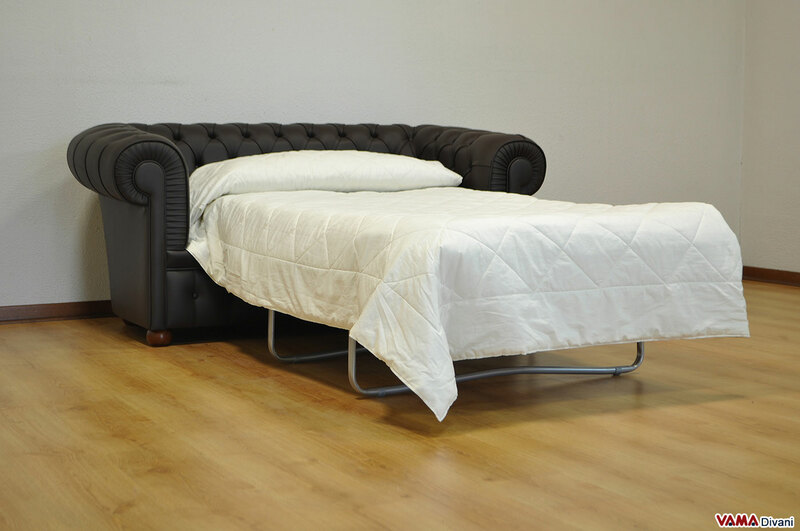 Unlike the other sizes, the standard 3 seater sofa features the seat composed of three separate cushions, for the sofa bed version, it can be suitable for a 135 cm wide mattress. 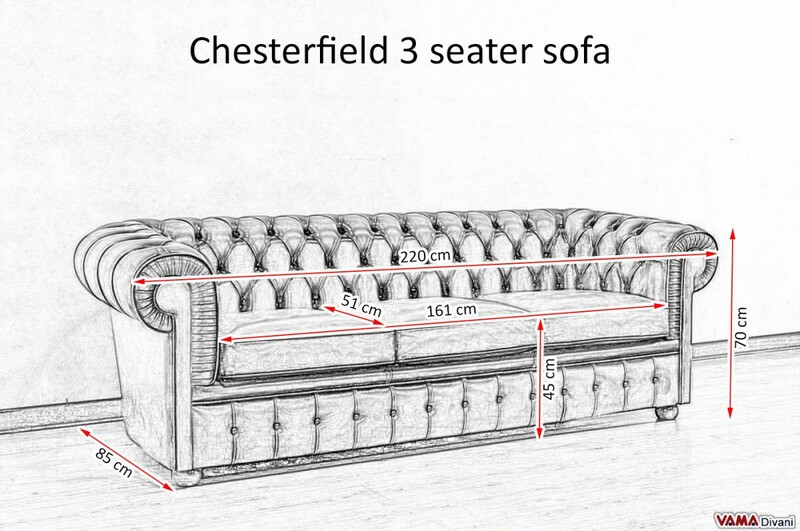 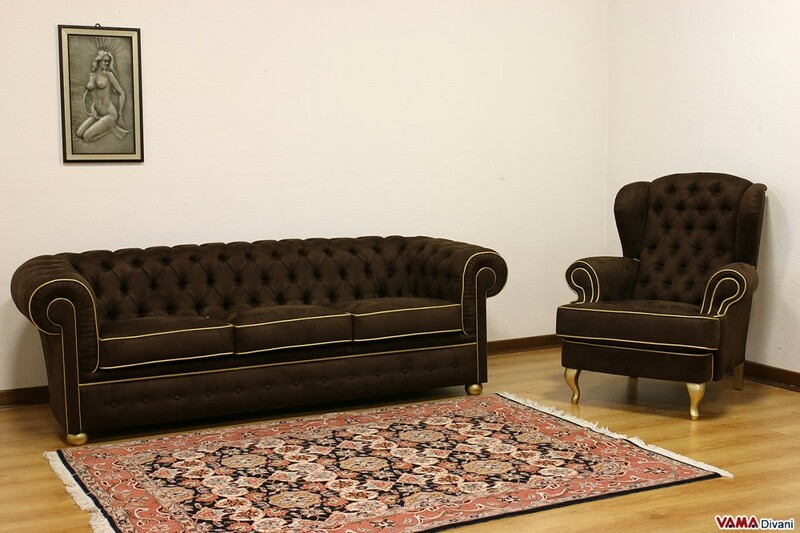 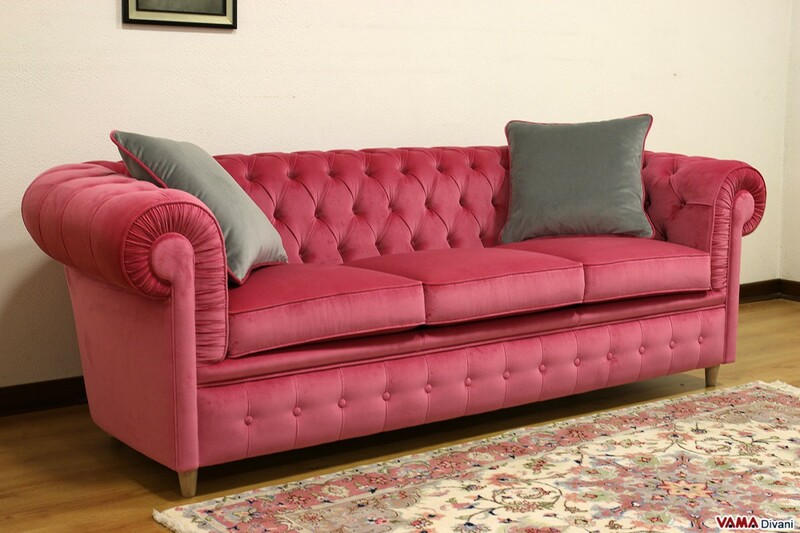 This classic 3 seater sofa is 220 cm long, but you can order it in other shapes or sizes on the basis of your space needs, as VAMA Divani realises Chesterfield Custom sofas respecting all the customers' requirements, even for only seen in pictures sofas. Feel free to contact us!